The Narcotics Vice Bureau reports the Arrests of two East Northport men on Friday, September 20, 2013 pm at 9:48 pm. Old Brookville, NY - September 20th, 2013 - According to detectives, Old Brookville Police along with the Nassau County Police Canine Unit responded to the Old Brookville Nurseries located at 5300 Northern Boulevard for a call of suspicious persons. Upon searching, K9 “Thunder” discovered defendant Bryan Zembreski, 36, of 18 Vernon Place hiding in the woods next to four large bags containing a substance believed to be Marijuana. Zembreski was then placed into custody. Defendant Anthony Donarummo, 40, of 306 5th Avenue who was also hiding then ran and hid in heavy brush where he was located by K9 “Thunder” and taken into custody. Further search of the area was conducted and a extensive marijuana grow farm that contained plants as tall as 12-15 feet were found. Donarummo and Zembreski are both charged with Criminal Possession of Marijuana 1st Degree and were arraigned in First District Court in Hempstead on Saturday, September 21, 2013. 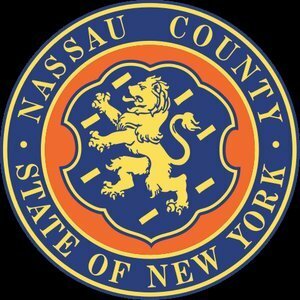 Subject: LongIsland.com - Your Name sent you Article details of "Nassau County Police: Two Men Arrested for Possession of Marijuana"